A broad understanding of the fundamental concepts, conventions, and theories of art is essential when it comes to producing a successful piece of work. Art Fundamentals addresses key basic subjects such as color and light, composition, perspective and depth, anatomy, and portraying emotions in a series of insightful chapters. Find out about color relationships and how to choose colors that work well together. Learn about the Rule of Thirds, Rule of Odds, Golden Triangle, and Divine Proportions, all of which are key when it comes to creating a realistic and dynamic composition. Discover the power of storytelling in an image and how the slightest tilt of an eyebrow can transform happiness into anger. 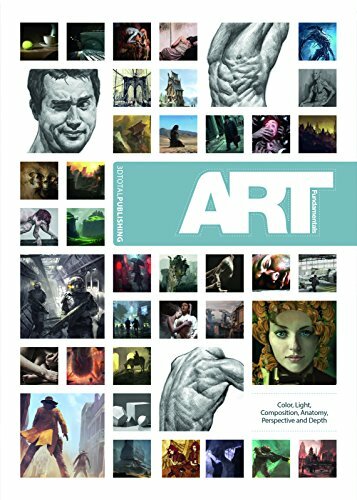 Written by some of the most experienced artists in the games and film industries, including Gilles Beloeil (Assassin's Creed series) and Andrei Riabovitchev (Prometheus and X-Men: First Class), this title gives newcomers the tools they need to get them started on their artistic journey and offers veterans a chance to brush up on their theory. Gilles Beloeil is a senior concept artist and matte painter at Ubisoft Montreal who has spent the last several years working on titles in the best-selling Assassin's Creed video game series. Andrei Riabovitchev works for MPC in the United Kingdom as a concept artist and has an impressive resume that includes Prometheus, X-Men: First Class, and Snow White and the Huntsman.